Minimal launching soon page for Argentinian digital agency, Bons. I know these embedded social media buttons convert but can’t help think this design would look so much better with that Contact link bottom-left and no social buttons. That being said, lovely little centre device animation and the newsletter signup load transition is slick. 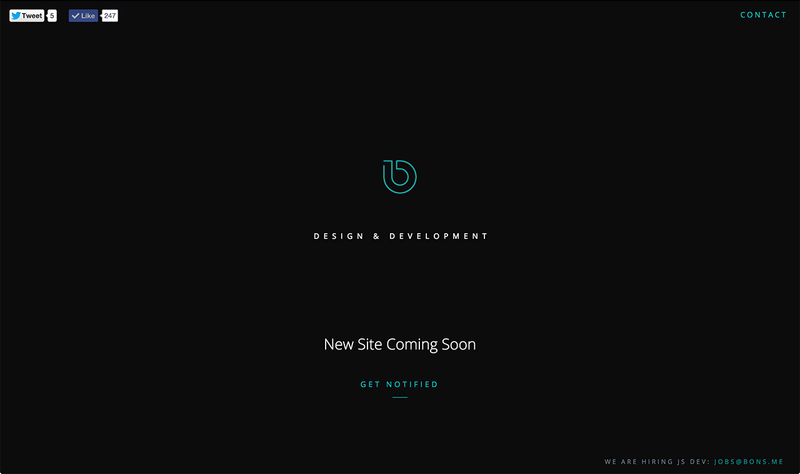 Responsive coming soon page for Bons: Design & Development Agency. A super clean site with an animated gif and a discrete but interesting interaction for the get notified/signup form input.